Climate change denial is an attitude that unfortunately now also threatens to affect national governments. Climate change denial contradicts not only the reality of climate change but also -and more importantly- the scientific opinion that it is caused by the impact of humans. This is because climate change denial is not based on science, but part of a political (not exclusively right-winged) movement defending an obsolete model of our economy, based on unlimited growth and profit. 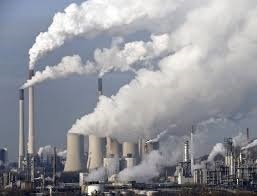 Its implication is no curtailing, taxation or limiting of the growth of industries, airports, and sales of fossil energy burning vehicles that pollute the air we breathe and our oceans. Even those that are willing to admit these dangers, might find that they are simply the price we have to pay for greater wealth. The price is CO2 emissions growing steadily, and breaking all records in the last year, with the US and China together accounting for 60% of total energy consumption in the world. Shooting with natural - ambient or available- underwater light can be a challenge, if not 'cool'. Strobes are the widely accepted tool to cope with conditions like color absorption and light diffused by multiple particles drifting in the water column. But when not carefully balanced with natural light, they lead to unnatural lightings of your UW target. Strobe shooters may also lose their sensitivity to catch the unique atmosphere of the underwater landscape and light fall, as you see or experience it through your eyes and diving mask. For example, when drifting over a lovely Red Sea coral garden, or the white and sunlit sandy Bahamian sea floor. With natural light, you depend on shutter speed, aperture, ISO and the light conditions underwater. You won’t have your strobes to add color to an object close to your lenses, creating a nice contrast with the blue natural background. Which means that your range of suitable targets and light conditions is very limited. As said, natural light UW photography is not easy, because of the conditions underwater work against the principles of photography. Best conditions are plenty of sunlight and shallow depth (say not more than 30 feet). In short; keep the path that light travels (vertically as well as horizontally) as short as possible. There are two reasons why underwater photography without strobes often leads to poor and disappointing results. One being longer shutter speeds. Longer shutter speeds can be useful to bring in more light from the blue background while using the strobes to light up a colorful closely focused (often nonmoving) target. But without strobes, longer shutter speeds will cause a blur of a moving target. A second reason is that the underwater color cast drops sharply with greater depth or a greater distance to the object, causing a monochrome and dull UW landscape. Light diffusion is another factor. Taken together these factors will produce pictures with poor contrast and bleak colors, especially when your target is further than 1 meter away. A way around to restore colors is to use a red filter (e.g. the ‘Magic’ filter). The filter also requires sunny days, and with the sunlight coming from behind your back. The effects of filters are most rewarding when shooting large (often static) objects like wrecks, at a distance when strobes would not be of any use. So stay as shallow and close to the object as possible. With a fish-eye lens, you can get pretty close to the wreck. 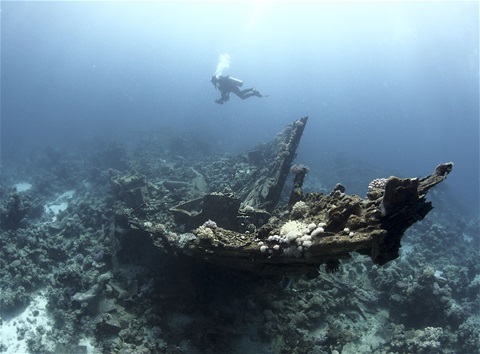 The stern of the Ghiannis D wreck in the Red Sea, for example, has become a classical ‘template’ for wide-angle shooters (see for another example the insert with the Abu Nuhas wreck in the Northern Red Sea). When using the filter, you will need to adjust your white balance manually, preferably at the same depth where you intend to do the shooting. One believes that it gives better results than adjusting the image after shooting with Photoshop. Shooting very big sea mammals like whales, moving slowly at shallow depths, is another example of a condition where a fisheye lens is a must, and there is no direct need for strobes. Some ambient light pictures I took last month during my visit to the Bahamas may serve to illustrate my point. I used the Olympus F1.8, 8mm fisheye lens without the strobes, mounted with a Zen extension ring on the EPL5 4/3 Pen camera in the EPL10 housing. I normally use this rig to back up my bigger Nikon D7200 with strobes combo. Unfortunately, there is no way of attaching the magic filter to the rear of the Olympus lens, like with the Lumix Panasonic 8mm lens*. I used automatic white balance adjustment, with slight corrections of the images in the RAW Adobe Photoshop CS5 mode. On that particular day on Tiger Beach, we did a shallow dive (12 feet) with plenty of sun and good viz. I wanted to get a sharp picture with enough color and contrast of sharks (in particular of their head) while they moved slowly at a distance of maximal 1 meter. I used normal apertures (f11-f13) and shutter speeds (1/100 to 1/125). I felt rather happy with the result. *You may also take a look at an earlier review and comparative tests of these two fish eye lenses and some of EPL5 fish-eye lens combinations I used. This year February my wife permitted me to do my usual Bahamian ‘two-step’ trip again, that is visiting two shark sites, mostly Tiger Beach and Bimini (another nice trip is Bimini and Cat Island later in the year, combining GHs and Oceanic white tips). The boat ‘Tresher’’ from the Cannabals takes the divers from the Marina at Bootle Bay at Grand Bahamas to Tiger Beach, which is an almost two hours lasting trip. Plenty of time to read that nice book. 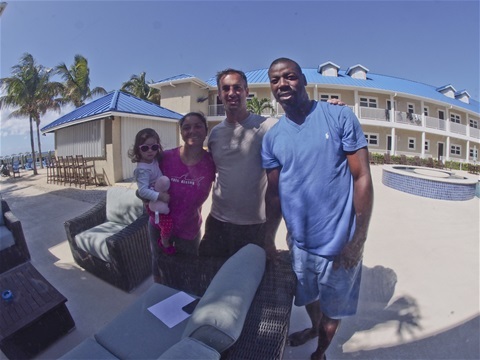 The Tiger Beach excursions are always well organized, with the shark encounters taking place in relaxed and controlled conditions, created by Vincent and Debra Cannabal and their captain (see picture). Big Tiger Sharks here are not to be seen as ferocious but rather as ‘sweet’ creatures. Almost ‘dog-like’ the way they line up for their share of the bait. With the tiger sharks blinking their nictitating mem-brane when they take the bait, creating the impression of shyly rolling their eyes. Flamingo air has a regular 25 minutes shuttle plane running between Grand Bahamas and Bimini. At Bimini, Neal Watson is still the main operator for the shark safaris, although this year I also spotted a little boat run by Stuart Cove, normally operating in Nassau. The Watson boat takes the divers in a 20 minutes ride to the baiting site, mostly in sheltered waters of South Island. Unfortunately, the local weather gods were not with us this time, given the strong winds and torrential rains sweeping over the Big Game resort on Saturday 16 February After such violent weather conditions, one can hardly expect to find the crystal clear blue water above pure white sand, on which Bimini has built its reputation. The GHs where there nevertheless on Friday and Sunday with a rather big girl called Gaia circling regularly around the bait box. Interestingly, the shark populations at Tiger Beach as well as Bimini have recently become more diverse. At Tiger Beach, the UW scene is dominated normally by lemon sharks and Carribean sharks with the tiger sharks moving in after a while. GHs now also tend to visit Tiger Beach more frequently with ‘Patches’ (or: (Scylla), a huge, dominant and beautifully pigmented female hammerhead often rushing in after a couple of minutes. The bull sharks also seemed less timid than in former years, although still keeping a greater distance from the bait box and divers. Tiger Beach is a remote spot at the edge of the little Bahamas banks, about one and a half hour boat ride from West End Grand Bahamas. It had already built its reputation as a shark sanctuary in the late 90ties. Jim Abernethy was then one of the very first operators who organized live-aboard trips with Shear Water departing from West Palm Beach in Florida. 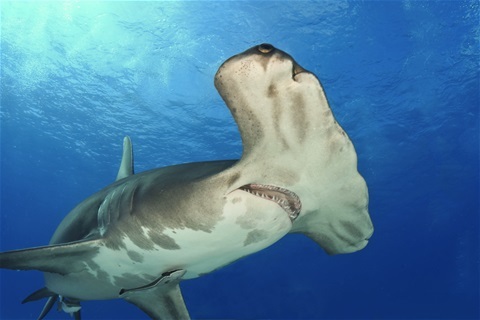 The site also gained its reputation from the variety of sharks: Tiger, Lemons, Caribbean reef sharks and occasional visits of the Great hammerhead (GHHs). Some of the tiger sharks have reached a star status, with names as Emma (no doubt the grandmother of a large offspring), Jamin, Hook, Lady, Princess, and Tequila. Tiger Beach is also considered as a safe haven for female tiger sharks to mature, gestate, and give birth to their pups. Most of the 20 hammies showing up at Bimini South Island have been tagged by the Shark lab for studying their migratory behavior. The large areas of mangroves and sea-grass at Bimini are an ideal nursery for young sharks, in particular baby lemons sharks. Bimini is also uniquely placed to benefit from the life-flow of the adjacent Gulfstream providing the eggs and larvae to grow into crabs, lobsters, and conch. And providing a source of food for the large predators. GHHs annual return in the winter season, however, is believed to be triggered not for mating or giving birth for but feeding purposes, with stingrays and crabs serving as their favorite dish. During their migratory leave in spring, triggered by rising water temperatures, GHs have been tracked while visiting coastal waters in Florida as well as Virginia, probably also the sites where they meet the ‘boys’ to mate with. Some exchange of sharks between Bimini and TB may also take place. For example, a notorious female GHH resident of Bimini, intermittently called ‘Patches’, ‘Bite Back’ or ‘Scylla’, has now also become a regular visitor of Tiger beach (see insert). Sulikowski, James A. et al. Seasonal and life-stage variation in the reproductive ecology of a marine apex predator, the tiger shark, Galeocerdo cuvier, at a protected female-dominated site. Aquatic Biology. Vol. 24: 175-184. February 22, 2016. Nuclear energy a solution for global warming? Confronted with the decline in nuclear power worldwide, nuclear industry leaders and their political and media allies are trying to impose the idea that this technology is an appropriate and indispensable solution to fight climate change. Nuclear power can make a vital contribution to meeting climate change targets while delivering the increasingly large quantities of electricity needed for global economic development, according to a new IAEA report. With electricity demand expected to rise sharply in the coming years as countries need more power for development,” said IAEA Deputy Director General Mikhail Chudakov, Head of the Department of Nuclear Energy. “If nuclear power deployment doesn’t expand in line with this scenario, the other technologies may not fill the gap—and we may not meet our climate target. Even in Holland, the country of tulips, green meadows and clean water, often seen as an ideal candidate for exploiting green energy in the form of building more windmills, the political climate seems to be changing. Dutch parliament majority now also seems in favor of nuclear power plants. Conservative parties in Holland seem to like the idea to build more nuclear power plants to fight global warming. This concerns the party for Freedom (PVV), the Christian Democratic Appeal (CDA), the Forum for Democracy (FvD) and VVD. 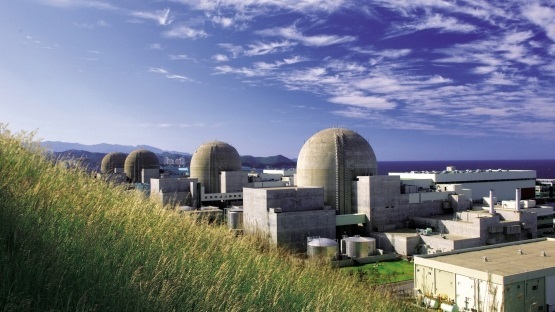 The Green and Social-liberal parties still say no to nuclear energy expansion. Surprisingly, even intellectuals with a leftish profile (cognitive psychologist and writer of bestsellers Steven Pinker is a recent example) are now ready to embrace ''ecomodernism', that is accepting nuclear energy as the last resort for saving the world from environmental destruction and poverty. But how realistic are the current predictions made by proponents of nuclear energy? For example in France, a country that beats the world record with producing 75% of its electricity from nuclear power, greenhouse gas (GHG) emissions are four times too high to reach the climatic objectives. In 2014, fossil fuels still accounted for more than half of the country’s primary energy consumption. So even with a drastic increase in electricity from nuclear power, fossil burning by industries, households, automobiles and aircraft will likely continue, instead of replacing fossil burning. And apart from the enormous costs involved in building safe nuclear plants, storing reactor waste, dismantling and replacing the current unsafe older plants, there are more problems to look at. It has often been argued that like wind, solar and hydro electricity, nuclear produces far less GHG than coal or petrol. But critical minds have also pointed to negative factors for the environment such as dumping of millions of gallons of warm water in the oceans, radioactive pollution of beaches and water near nuclear plants, and reactors using huge quantities of steam and water vapor that also warm the atmosphere. It has been argued that every nuclear generating station spews about two thirds of the energy it burns inside its reactor core into the environment. Only one-third is converted into electricity. The mining and enrichment of uranium; the manufacturing, transport and reprocessing of nuclear fuel rods and waste; the building and dismantling of the reactors. At every step, nuclear energy produces greenhouse gas (GHG). The problem of disposal of high-level reactor wastes has proven to be much less of a relatively simple problem than has been argued by nuclear lobbyists. And what about floods and forest fires? Which now seem to become an increasing threat of climate change and may damage even the more solidly built nuclear plants. The bottom line (in my view) is NOT to be tempted by nuclear lobbyists, who most likely are motivated by the perspectives of new markets, and not by what is best to save the environment. For the next decades, it would be wiser to stimulate electricity as an energy source in private cars and public transport. This would certainly help to improve the air quality in our big cities, although it would still depend on fossil energy plants. Discouraging further growth of international airports and air traffic, as long as kerosine remains their major energy source. would be a very crucial step, but unfortunately not easily taken by national governments still depending on the major airports. A clean environment will also ask sacrifices, of which the increasing prices of air tickets or gasoline, may be hard to digest for those living on a low budget.